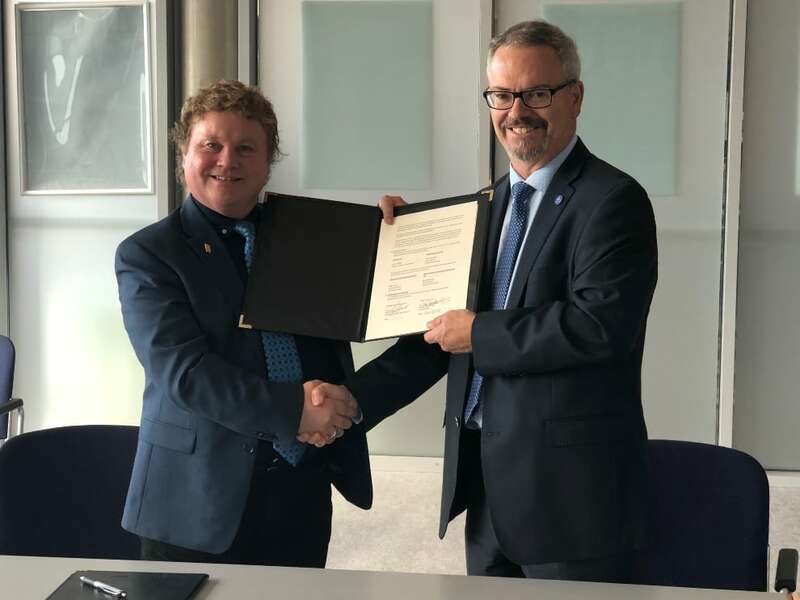 There is some irony in the signing today of a memorandum of understanding (MOU) between Moon Express and the Canadian Space Agency (CSA) at the International Astronautical Congress in Bremen. Moon Express was co-founded by Bob Richards, an ex-pat who left Canada to pursue his dream of building a startup in the U.S. that he hoped one day would be an enabler for a sustained economy based on lunar resources. Now eight years later after founding Moon Express in 2010, Richards and the company have come full circle and are looking to Canada for suppliers, customers and opportunities. This should come as no surprise though as it was just under a year ago Richards snapped up another ex-pat, Alain Berinstain, the former Director of Policy for Minister of Transport Marc Garneau and 17 year vet at the CSA, whose job it is develop international partnerships. The news comes just two weeks before Moon Express and the CSA will hold a Moon Express Industry Day at CSA headquarters. It’s clear Moon Express hopes the CSA will help the company by facilitating introductions etc. to the Canadian community. For the CSA, it’s an opportunity to get Canadian hardware on potential future commercial missions to the moon. A win-win for Canada and Moon Express. The upcoming Industry Day is designed in such a way that it is the hope of both Moon Express and the CSA that agreements by Moon Express and potential industry partners are signed soon thereafter. 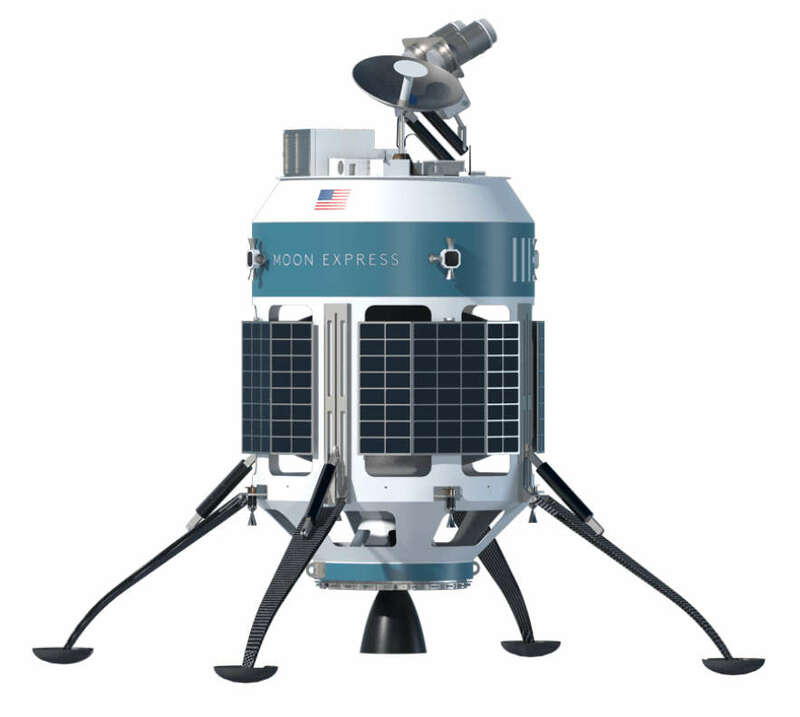 Moon Express appears to be regaining some momentum after the very public Google Lunar X-Prize (GLXP) ended without a winner. As Richards had previously told SpaceQ, the GLXP was not the end-goal for the company, but an opportunity along its path. Moon Express co-founder (left) Bob Richards and Canadian Space Agency President Sylvain Laporte after signing of an Memorandum of Understanding between the two organizations. Credit: Moon Express. This past Monday, Moon Express announced it had closed a US$2.5M bridge round and opened a US$20M Series B round of financing and had secured US$10M from an unnamed lead investor. Moon Express has also been working with NASA as one of the partners in Lunar CATALYST Program. The program which started in 2014 is designed to push U.S. companies to innovate new technologies for commercial cargo transportation capabilities to the surface of the Moon. Moon Express was one of three companies selected in 2014 to be a part of the program. The other two were Astrobotic Technology and Masten Space Systems. Moon Express has also been proactive within the space policy community, and though their efforts in 2016 received U.S. federal government authorization to conduct a private lunar surface mission, the first commercial space company to achievement that distinction. NASA hopes that the Lunar CATALYST Program program enables regular commercial flights to the moon surface by 2020. It is a goal Moon Express is striving to achieve. Moon Express has indeed come a long way from the original idea Richards had and pitched to his other co-founders Naveen Jain and Barney Pell. They first setup shop in California’s Silicon Valley at NASA’s Ames Research Center, but have since moved on to the startup friendly Space Coast in Florida where they leased Launch Complexes 17 and 18 at the famed Cape Canaveral. Though the company has yet to realize its dreams, it has survived eight years of ups and downs but continues to move forward. The MOU with the CSA takes them possibly one step closer to the moon, and for Canada, a potential opportunity to see Canadian technology on the moon.